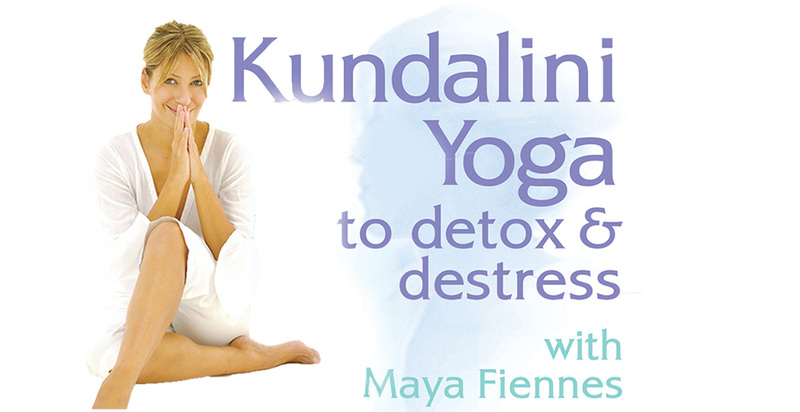 Musician and yoga teacher Maya Fiennes combines her talents to create a stunningly beautiful Kundalini practice focused on fortifying the body’s stress defences. Among the easiest styles of yoga to learn, Kundalini can produce dramatic results quickly. You’ll feel more awake and aware, healthier, and better able to face everyday challenges. Musician and yoga teacher Maya Fiennes combines her talents to create stunningly beautiful Kundalini practices focused on fortifying the body’s stress defenses.